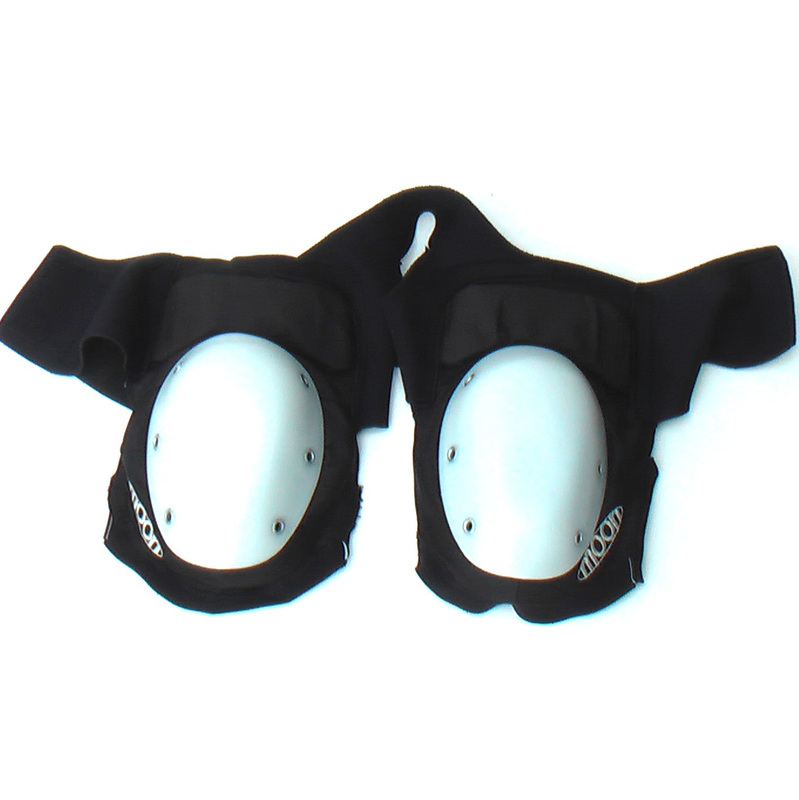 For protection and in order to complete a full set you will need protection for HIP and SHOULDER. 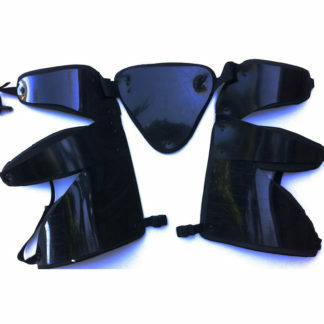 Here is shoulder pad. It is wearable like a jacket closing front with Velcro. 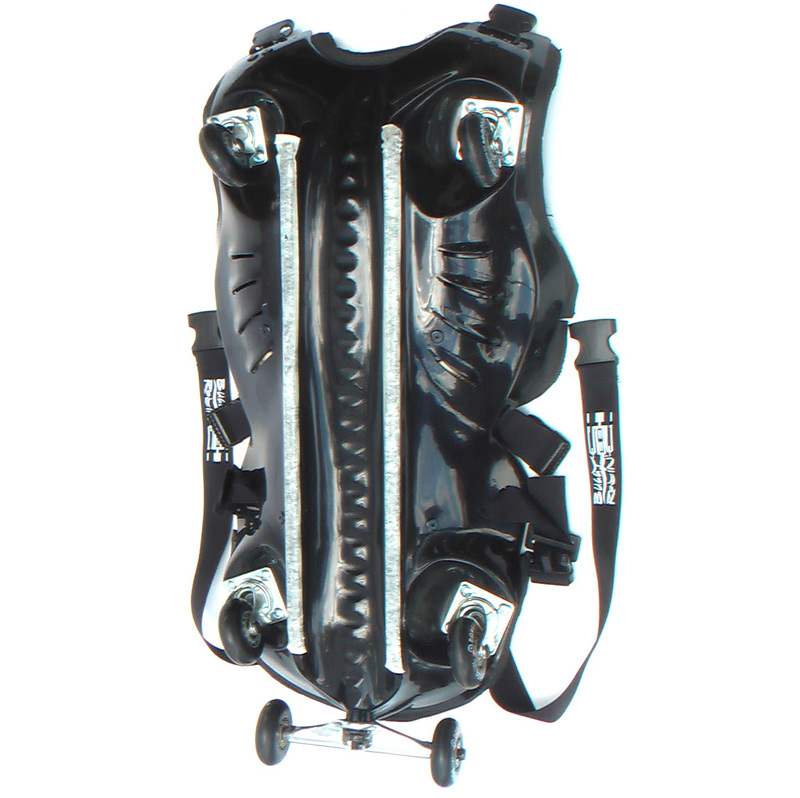 Based on OUT MOON stunt skate knee pad. Redesigned and custom sewed to fit BUGGY ROLLIN purposes. It protects from side shocks and locked in crashes. It also help positioning the chest and back on shoulder bones and increase comfort. It has anti friction caps, double sculpted layer of foam inside. 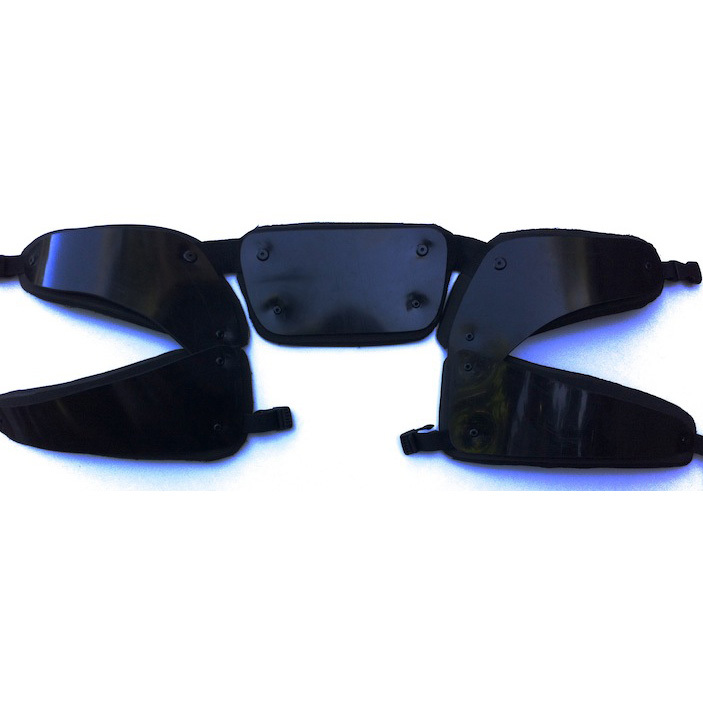 The inner side is a neoprene + jersey foam for comfortable skin contact. 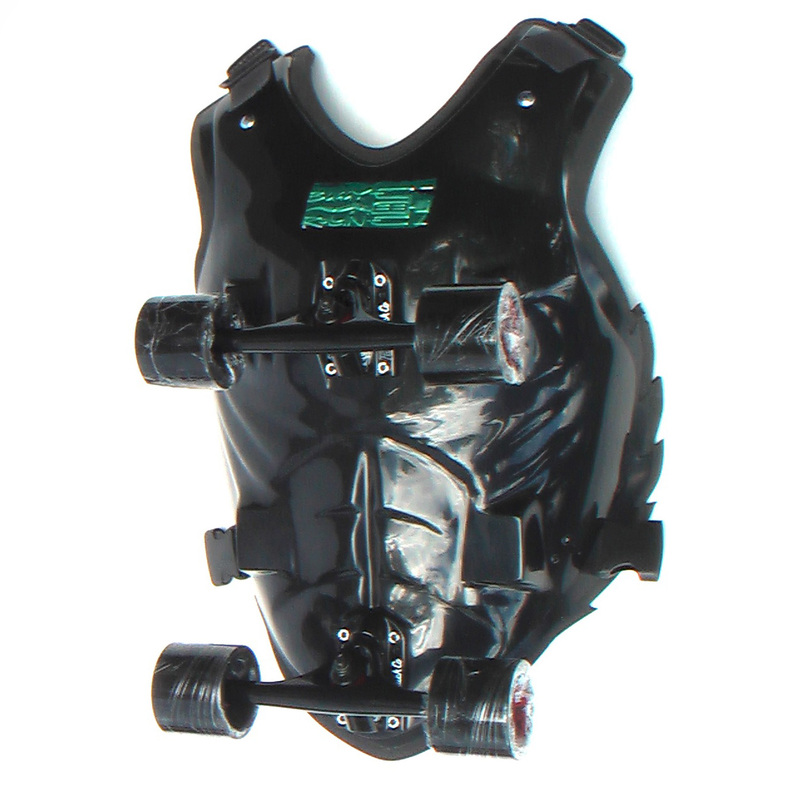 we are actually developping new prototype so next Shoulder pad may look different.